On June 18, China's queen-maker Yue-Sai Kan raised the curtain on the 2012 Miss Universe China Charity Gala, held as part of the week-long 15th Shanghai International Film Festival and starring such international celebrities as Charles Aznavour, ELEW and Christian Louboutin. Kan, whose eponymous cosmetics brand introduced international beauty standards to the People's Republic, was brought in last year to reorganize the Miss Universe China competition. In addition to completely rebuilding and modernizing the previously moribund national pageant, Kan linked her contest with one of China's major charitable organizations, the Soong Ching Ling Foundation. 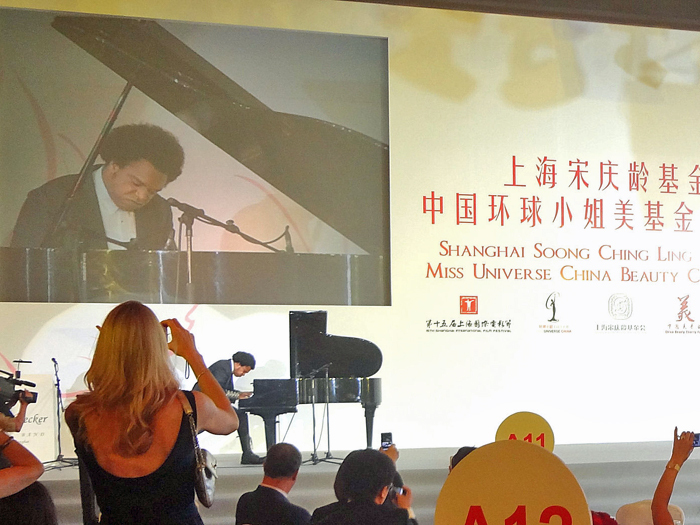 The centerpiece of their joint efforts was the charity gala at the Shanghai International Convention Center, which boasted three stages and over one thousand guests, who looked on as Kan and a dozen of China's most famous entertainers auctioned black Tahitian pearls and wines from the royal estates of Luxembourg. Aznavour (the "French Sinatra"), ELEW (rock-jazz pianist to the Obamas and Naomi Campbell) and Chinese pop and opera divas Sue Shen, Betty Ni and Ying Huang provided live entertainment during the telecast. Also in attendance were Mike Medavoy (Hollywood producer and winner of a Golden Goblet award at the opening of the Shanghai Film Festival); Amy Chua (author of "Battle Hymn of the Tiger Mother"); Guan Qi (China's 2003 Miss World finalist); and Chinese celebrities including Lu Yan, Mary Ma, Huo Siyan and Joey Zhuang. 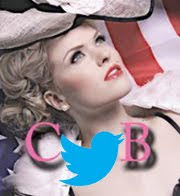 The event, televised in China and hosted by reigning Miss Universe China and Miss Universe fourth-runner up, Zilin "Roseline" Luo (and three other 2011 and 2012 contestants), raised over US $2 million. 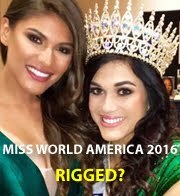 Additional donations are expected to bring the total to US $2.4 million, believed to be one of the highest amounts ever raised by a Miss Universe national organization for a charitable cause in a single evening. 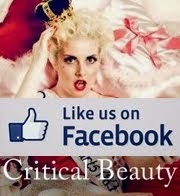 All proceeds will go to benefit the Soong Ching Ling Foundation, the China Beauty Charity Foundation and Operation Smile. Ernst & Young provided complimentary auditing services, while major multinational corporations ranging from Coca-Cola and Pernod Ricard to BMW and The Westin donated everything from beverages to hotel accommodations and chauffeur services. The gala capped off the third night of the Shanghai International Film Festival, where Yue-Sai Kan and Miss Universe China played host to a variety of personalities including Aaron Eckhart, Famke Janssen, Jean-Jacques Annaud, Heather Graham and Gayle King. Performances from the Soong Ching Ling children's school, established by Soong Ching Ling (former Honorary President and first lady of China). The search for Zilin Luo's successor continues with regional pageants across the country, including in Beijing, Guangdong, Yunnan and Fujian. Miss Universe China 2012 will be held on September 1 in Shanghai, with the winner to go on to the international finals in December with the goal of capturing China's first Miss Universe crown. 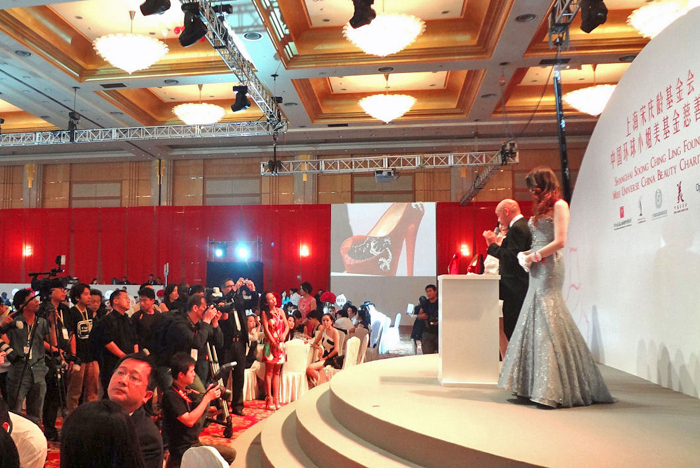 Christian Louboutin and Yue-Sai Kan auction a "one of a kind" pair of Louboutin shoes, raising over US$25,000 for charity. Jeff Lee and Amy Chua (author of "Battle Hymn of the Tiger Mother") accompany the three runners-up to Miss Universe China 2011. From left to right are Li Zihan, Zhang Yamei and Yi Na. Yi Na and Zhang Yamei strut the runway during the fashion show. Rock-jazz pianist ELEW performed for the sold-out crowd. 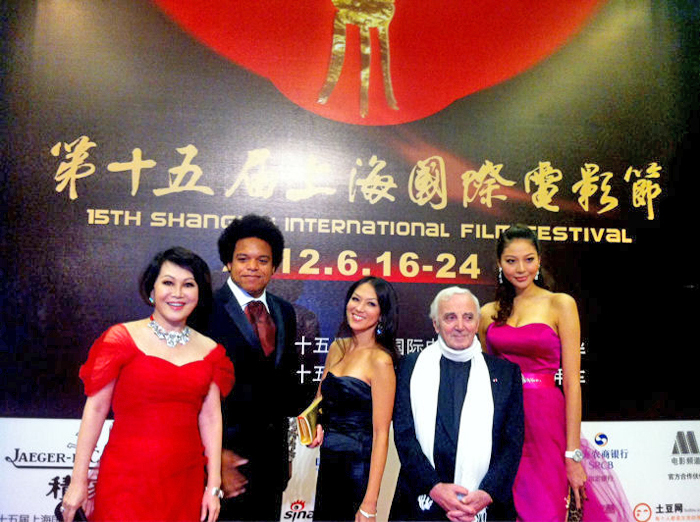 Miss Universe China 2011 Zilin Luo (far right) and Yue-Sai Kan (far left) appeared on the Shanghai International Film Festival's red carpet opening wearing the designs of LOVA by Lovisa Tedestedt (center) who is flanked by ELEW and Charles Aznavour.